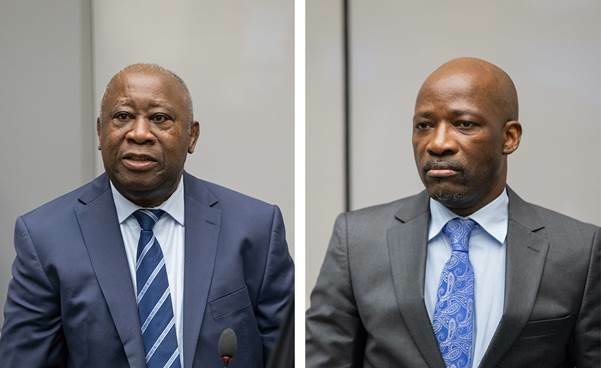 The Appeals Chamber of the International Criminal Court (ICC) ordered on Friday the continued detention of former Ivorian President Laurent Gbagbo and his former youth minister Charles Ble Goude, until the next hearing set for February 1. This ICC decision comes after ICC prosecutors appealed the “acquittal and immediate release” of Gbagbo ordered on Tuesday by ICC judges at The Hague. Laurent Gbagbo and Charles Ble Goude have been prosecuted since 2011 by the ICC for crimes against humanity allegedly committed during the post-election crisis in Cote d’Ivoire in 2010-2011, when officially 3000 people were killed.